"Say hello to one of this season's show stealers. But don't dally too long or you may miss the chance to nab one. 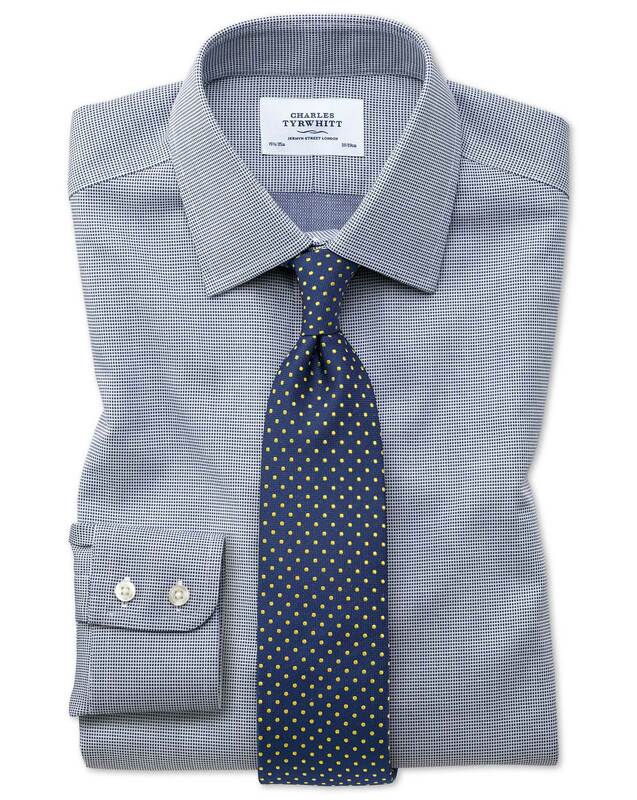 You see, this Square Weave Shirt is part of our Magnificent 8 collection, which means -- from extra long staple cotton to market-leading non-iron finish -- it's more than a little bit special. It also means it's not going to hang around, so why on earth are you still listening to me??" Beautiful fabric, I pre-washed it and albeit it is non iron, I still pressed it and the fabric was flawless as I glided the iron over it. I really seem to be having problems with CT shirt sleeve sizes. I love the shirts, great fabric, easy to iron, and as I'm working in Malaysia, I pick up a couple every time I come back home to the UK. Last year I bought six, 15.5 inch collars and 36 inch sleeves. Three of the shirts fitted perfectly, three had sleeves that were an inch too long. So this year, on a short trip back I opted for 35 inch sleeves. Alas, slightly shorter than expected, and now I'm back in Malaysia. Beautifully made down to the last detail . The material is extremely good quality. Washes really well always looks good no matter how many times it’s been washed . Hardly needs ironing so a really great buy .